On a chemical level, anxiety disorders may reflect imbalances in neurotransmitters. 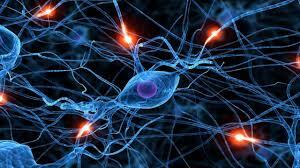 These are the messenger chemicals that nerve cells, called neurons, use to communicate with one another. Here’s how it works: When a neuron is activated, an electrical signal travels from the cell body down a fiber-like branch, called the axon. Once it reaches the end of the axon, however, there’s a challenge. 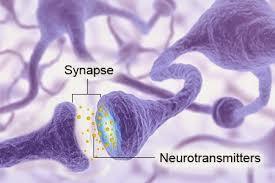 A tiny gap, called a synapse, separates each neuron from its neighbor. That’s where the neurotransmitter comes in. Its job is to chemically ferry the message across the gap. There are many different kinds of neurotransmitters, each with a distinctive chemical shape. After a neurotransmitter has been released from the axon on the sending neuron, the communication process is still only half-complete. The neurotransmitter still must find a receptor molecule on the receiving message is excitatory, it flips the switch on, and the neuron passes along the signal. If the message is inhibitory, it flips the switch off, and the neuron suppresses the signal. Either way, once the message has been delivered successfully, a feedback mechanism tells the sending neuron to stop pumping out new neurotransmitter. ​Now all that is left to do is dispose of the old neurotransmitter, which remains in the synapse. A molecule, called a transporter, is dispatched to bring it back across the neuron that has a matching shape. Think of the neurotransmitter as a key and the receptor as a lock. The message can only be delivered if the key fits the lock properly. When that happens, the receptor transmits the message into the receiving neuron, where it signals the cell to switch on or off. If the gap to the axon that originally released it. 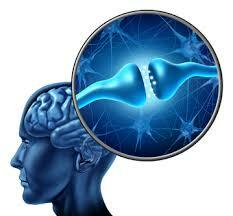 There it is absorbed back into the sending neuron, a process called reuptake. When it works, this is a remarkably complex and efficient system. However, like any complicated system, it occasionally breaks down. In some cases, receptors may be either too sensitive or not sensitive enough to a particular neurotransmitter. In other cases, the sending neuron may not release enough neurotransmitter, or it may reabsorb the chemical too soon, before it has delivered its message. Any of these communication failures can affect anxiety and mood. • Gamma-amino-butyric acid (GABA)—Inhibits the firing of neurons. GABA appears to help quell anxiety. • Serotonin—Helps regulate mood, sleep, appetite, and sexual drive. Low levels of serotonin have been linked to both anxiety and depression. • Norepinephrine—Helps regulate arousal, sleep, and blood pressure. Excess amounts of norepinephrine may trigger anxiety. • Dopamine—Enables movement and influences motivation. Some evidence suggests that there may be a link between low dopamine and social anxiety disorder, and between excess dopamine and OCD. One common class of medications used to treat anxiety is the benzodiazepines, such as alprazolam (Xanax), diazepam (Valium), and lorazepam (Ativan). These drugs are thought to raise GABA levels within the brain. Another widely used class of the medications is the selective serotonin reuptake inhibitors (SSRIs), such as fluoxetine (Prozac), paroxetine (Paxil), and sertraline (Zoloft). These drugs slow the reuptake of serotonin, which increases the available supply of this neurotransmitter. Serotonin–norepinephrine reuptake inhibitors—including duloxetine (Cymbalta) and venlafaxine (Effexor)—affect serotonin much the way SSRIs do, but also affect norepinephrine. And buspirone (BuSpar), one of the first-studied antianxiety medications, increases serotonin activity while decreasing dopamine activity.